The country’s largest truck maker, Tata Motors, has come back into the black in the third quarter ended December 31, 2017, at the standalone level, helped by sharp growth in revenue and cost reduction initiatives. The company had incurred standalone losses in five straight quarters, the last of which ended on September 30, 2017. Tata Motors reported a standalone profit of Rs 1.83 billion in the quarter ended December 31, 2017 against a loss of Rs 10.46 billion in the corresponding quarter of previous year. Revenue for the quarter rose 59 per cent to Rs 161 billion. Standalone EBIDTA margin improved 750 basis points to nine per cent during the quarter. The company’s share price gained over three per cent to close at Rs 396 on the BSE, in anticipation of improved performance. The results were announced after the closure of trading hours. The ‘turnaround strategy’ is delivering results, said Tata Motors chairman N Chandrasekaran. “Our focus on market share gain coupled with operational improvements is working well, with both commercial and passenger vehicle businesses delivering improved results,” he said. Chandrasekaran said the company will continue on the journey to reduce its costs and invest prudently in products in order to deliver improved returns to shareholders. The total standalone sales volume during the quarter expanded 31 per cent to 172,952 units, showing strong growth in both passenger and commercial vehicles. 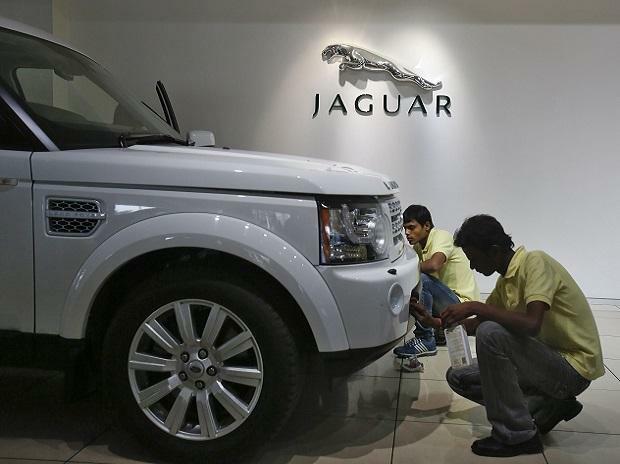 At the consolidated level, the company reported a 12-fold rise in profit at Rs 12.14 billion, up from Rs 1.11 billion in corresponding quarter of the previous year, helped by improved performance in JLR (Jaguar Land Rover) operations. The company's consolidated revenues were up 16.1 per cent to Rs 741.56 billion during the quarter.